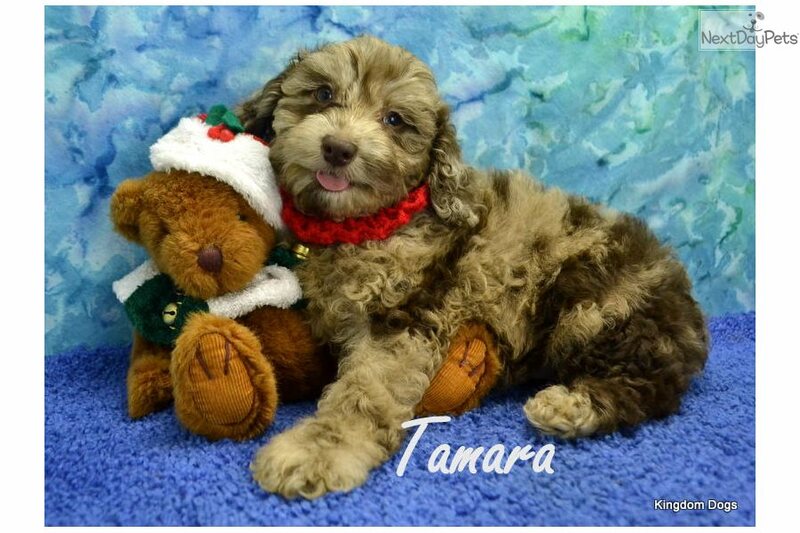 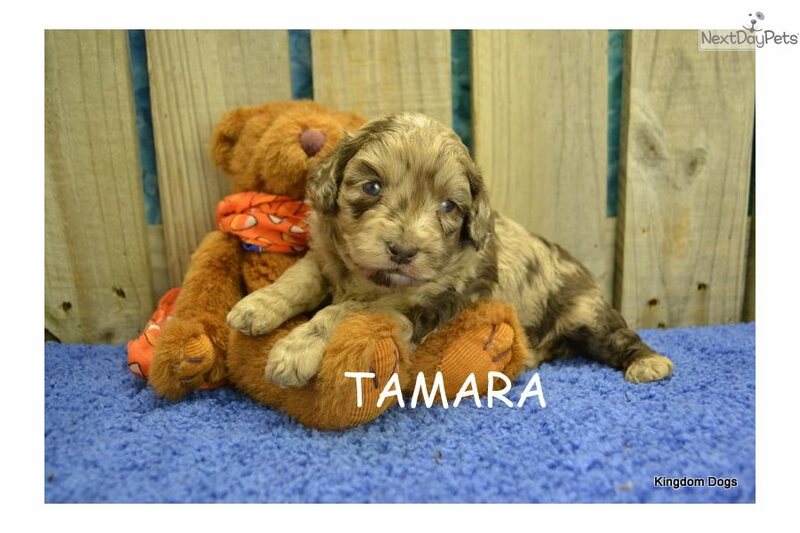 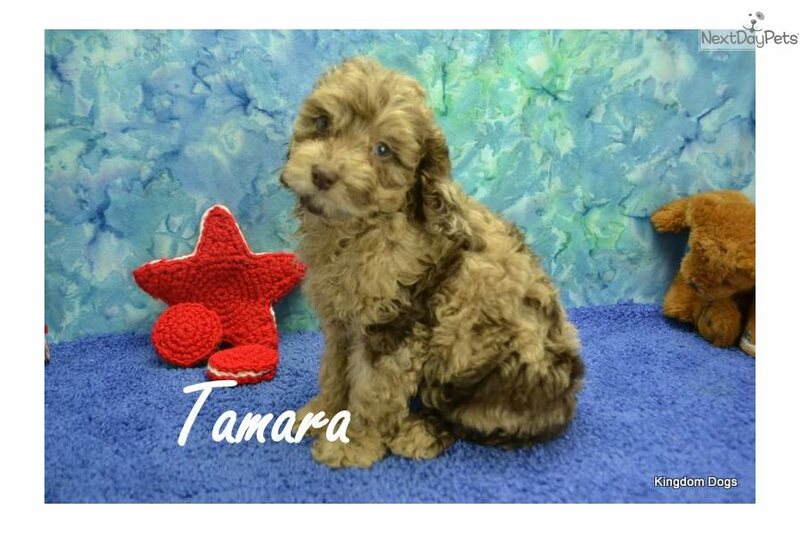 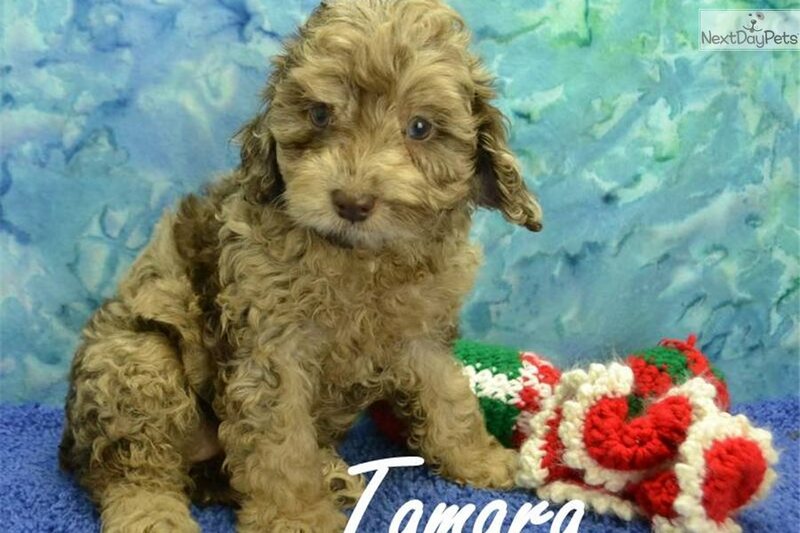 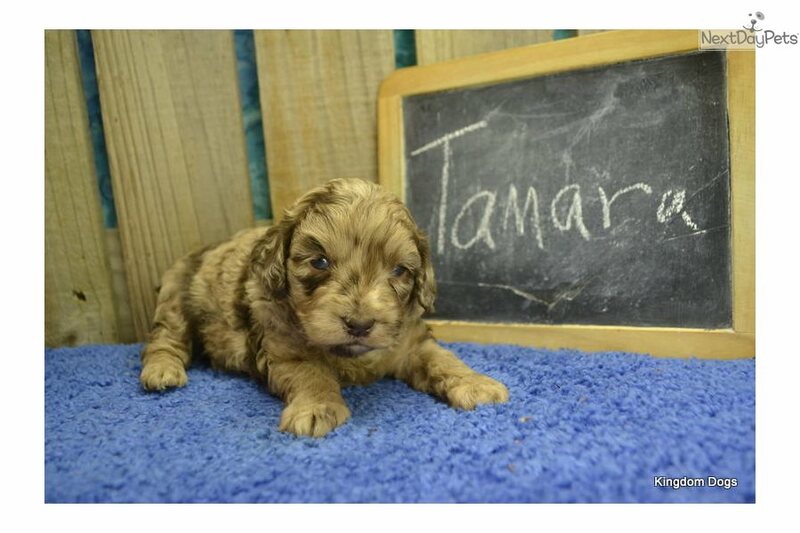 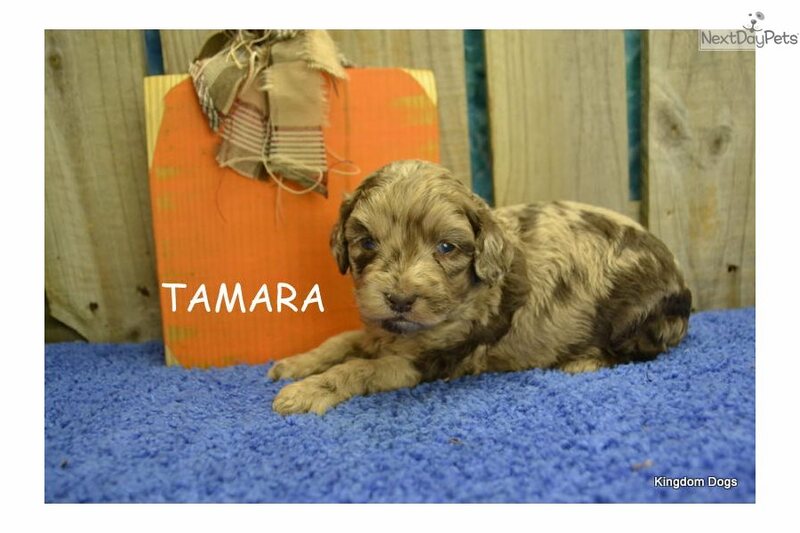 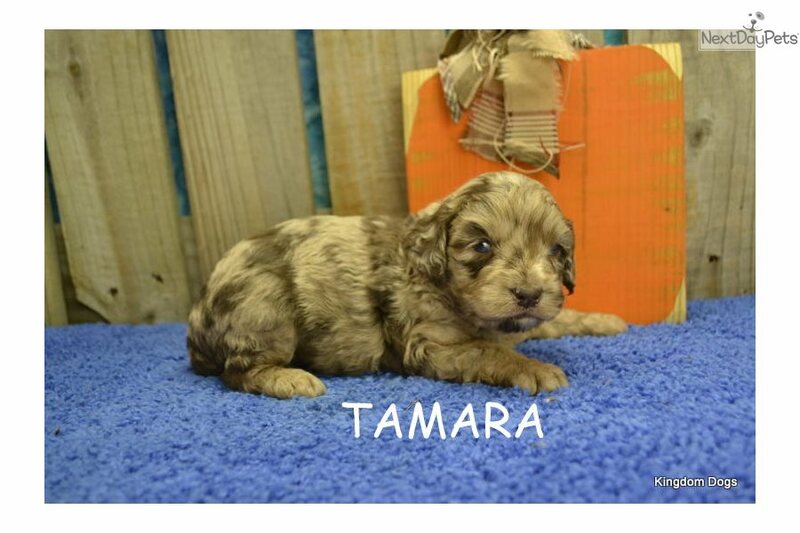 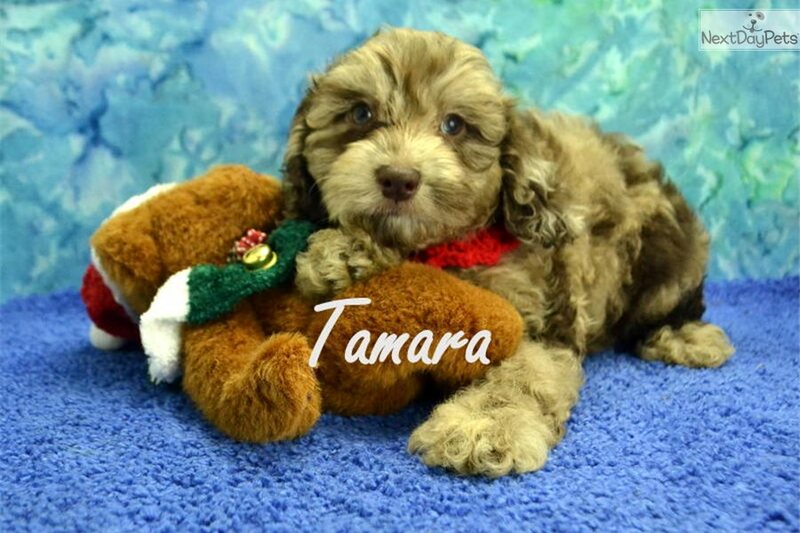 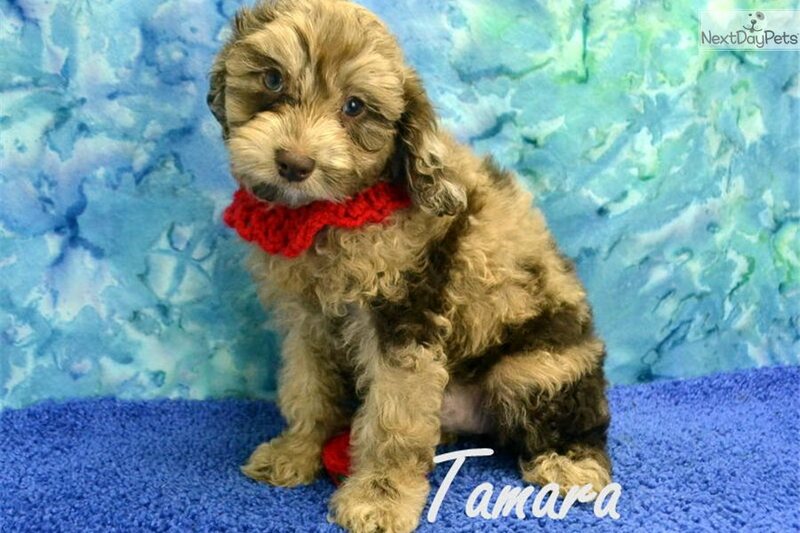 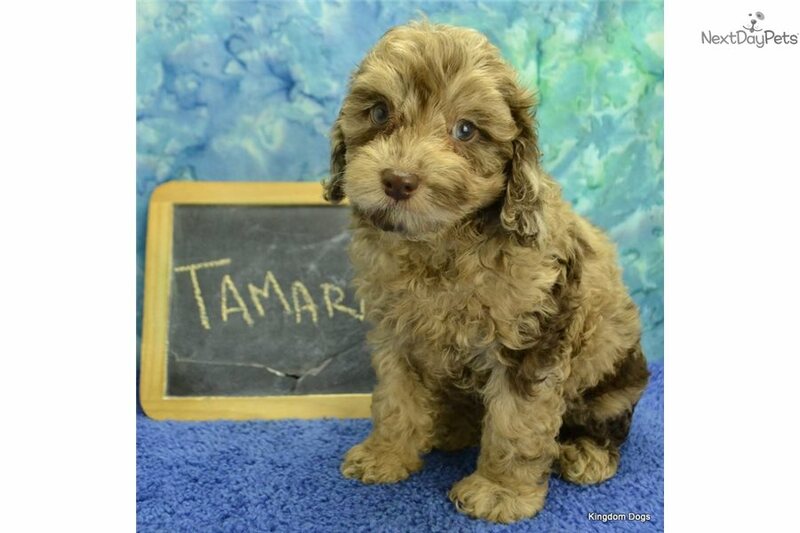 This Cockapoo nicknamed Tamara sold and went to a new family. 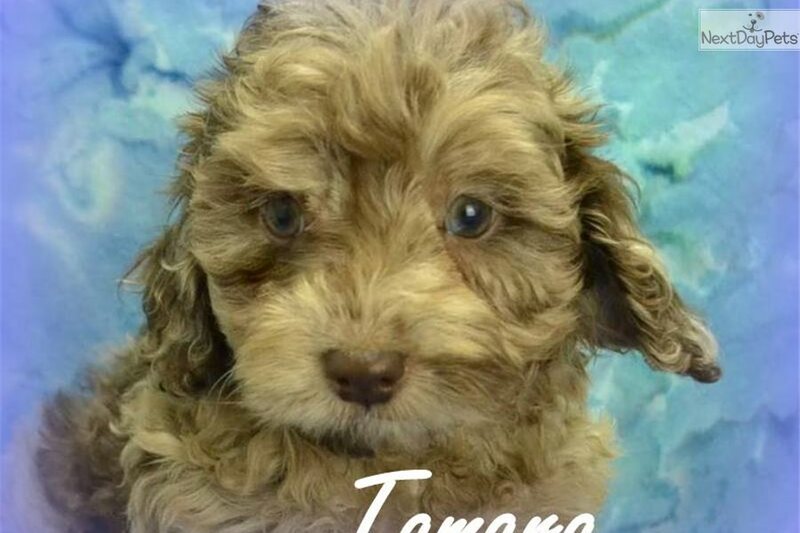 NEW VIDEO on website www.KingdomDogs.com SPAYED and microchipped COCKAPOO…we expect this litter to be about 25-30 pounds as adults…. 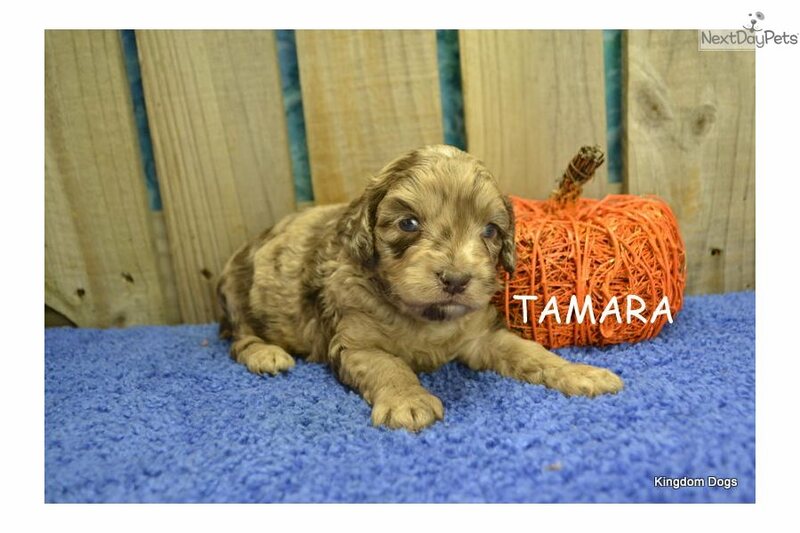 PUPS ARE a DESIGNER BLEND we do NOT register the puppies. 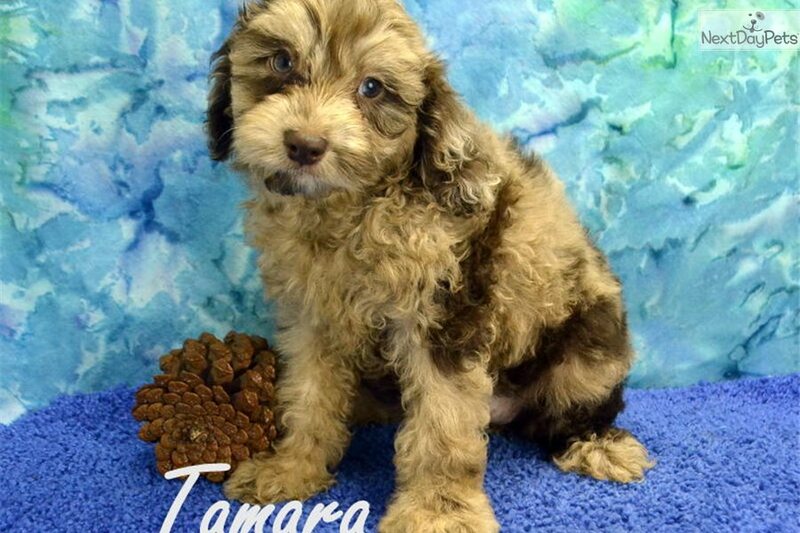 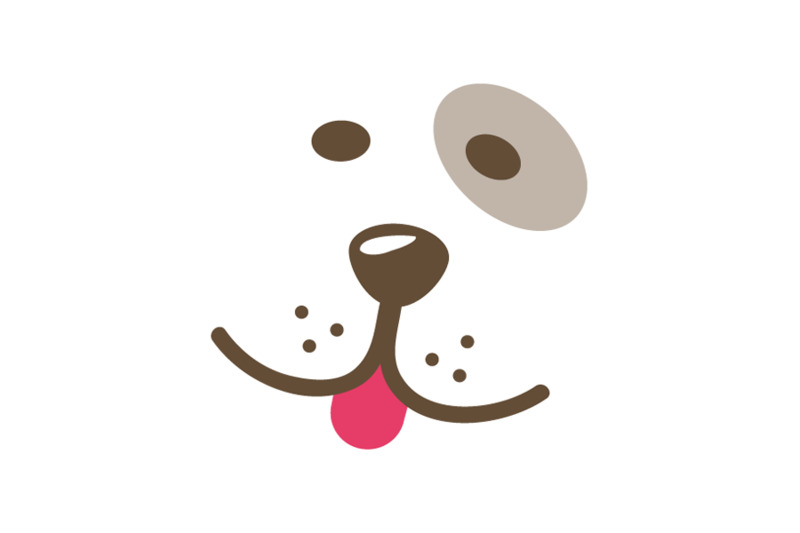 Our darling will come to you up to date on shots and de-wormings and have dew claws removed.